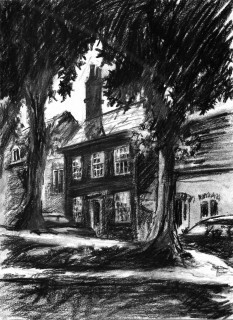 By the 1780’s the problem had been solved and the Barley Mow became very much the Greencroft pub for the next 220 years. Apart from the fact that Greencroft Street and its neighbours could fairly be described as “teeming” with thirsty humanity, there were regular “fun and games” events on the Greencroft itself – Bonfire nights, New Year’s Eve, Coronation celebrations etc etc. All of these involved crowds, bonfires, fireworks, fancy dressing, sometimes bands – and the pub played its full part. As Ken Edwards (born on Greencroft Street in 1944) remembers “The Barley Mow used to be a sort of hub of the street…On New Years Eve everybody at 12 o’clock, would pour out of the Barley Mow and out of their houses and all the way down the street and everybody sang “Auld Lang Syne” in the street and wished everybody a happy new year in the street, as we did on other occasions”. 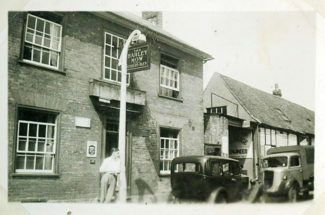 The pub, like many of its type, also provided a more routine daily service which was of great benefit to the less mobile in local society: “…They had a thing in the Barley Mow pub, which I recall. There was an alley way down the side of the pub and it was called the “Jug and Bottle”. One day I went with my Uncle Len…and I remember there was a little hallway and it was quite dark and the man in the pub looked over the top of this shelf and said something to my Uncle Len and my Uncle Len said he wanted some stout…and he put the jug on top…and it came back…..and there was this jug …..full up with something and there was froth on the top and he said “Now I want you to hold this very tight and….take that back to Gran”. Well I felt like the cat’s whiskers!” (Michael Winterman, a child on Greencroft Street in the 1940s). Sad to relate, the “Barley” has now fallen victim to the wave of destruction which is sweeping through our “locals” and has been converted into a block of flats. Its exterior, however, remains intact – apart of course from the sign! The Barley Mow used to be a, a sort of hub of the street, at the top of the street because between the Barley Mow and the Methodist Church as it is now was the timber company which was quite a big, a big place, you didn’t have any houses there you just had the timber company and like on New Year’s Eve everybody at 12 o’clock would pour out of the Barley Mow and out of their houses and all the way down the street and everybody sing Lang Syne in the street and wish everybody a happy new year in the street as we did on other occasions. 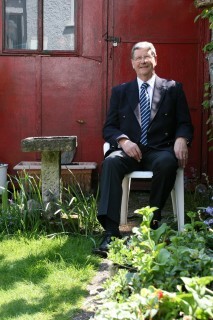 Coming from the French speaking part of Switzerland, I spent a year (1962) in Salisbury to learn English. Working in Brown Street and living in Dorset Rd, the Barley Mow was on my way home, so I became a good customer of this lovely pub. So good that I got engaged to the publican’s daughter! The wedding did not take place, but my year in Salisbury remains a very nice memory even after all these years (I am now 75!). I grew up on Salt Lane and as a child (born Jan 1945) I would partake in the fun and games on the Greencroft. Guy Fawkes night was always a special time, as we children would go round the local streets begging for combustible material for the big bonfire on “The Greeny” as we called it. We would start collecting a couple of weeks before the event and the bonfire was often huge. There were 6 in our household so we were often to be found in the local parks such as the Council Grounds and of course “The Greeny”. Salisbury cattle market was another treat when farmers from surrounding villages and farms came to sell and buy sheep, goats, chickens, ducks and of course cattle of all shapes and sizes. Seeing farmers wearing their highly polished gaiters, sitting in the Haunch of Venison chatting and drinking their ale was a real sight. I often think of those days with a good deal of nostalgia. Great to hear your memories Anthony. Keep them coming! The first pub I went into when I first visit Salisbury well over 30 years ago .. little did I know that I would subsequently move here in 1983. Seems like yesterday. It is so nice to that the Greencroft has survived as a lovely open space. I have been told that the City”s plague viictims were buried here, so it has a dark past. It is a now used as a play area and somewhere to spread a blanket in the sun, or kick a ball around. Wouldn’t it be great to have an annual event on the green and bring back some of the community spirit that echoes through these wonderful memories. Very sad that the Greencroft pub is no more but lovely to hear it remembered in full flow! Lost Community pubs – how true! 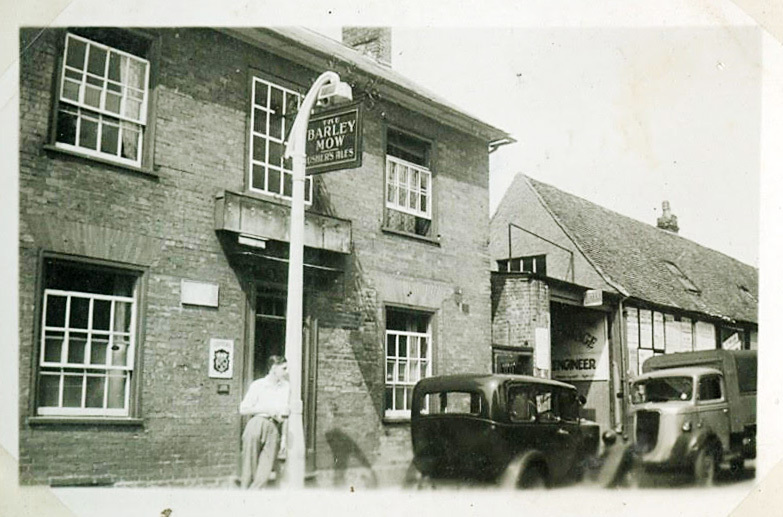 Lovely to hear Ken Edwards talking about his memories, even though its conversion was relatively recent I had forgotten about the Barley Mow.